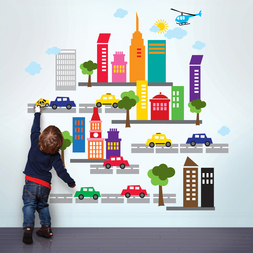 Innovative and stylish peel and stick wall decals that are removable, reusable and non-toxic. Made in the USA. 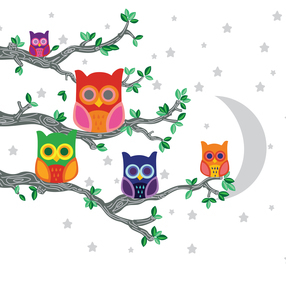 Highlight your wall color with peel and stick owl wall decals in lustrous shades of silver, green, purple, and red. Complete the look you imagined in under an hour and avoid tape, tacks, or glue. Remove and reuse each decal to decorate a different room or redesign your dream tree without damaging walls. Create a different wall for every day. Your options for a pack of polka dot wall decals are endless! Sweeten shelves, sprinkle vanilla rooms with oversized confetti, or complement a cute wall color with a dotted accent ceiling. Decorate nurseries and playrooms or yoga studios and ice cream parlors. Your design dream-come-true is peel-and-stick simple. 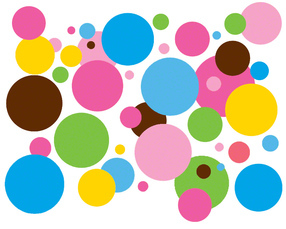 Remove and reuse each dot as often as you like without damaging the surfaces you hold dear. Beep beep! 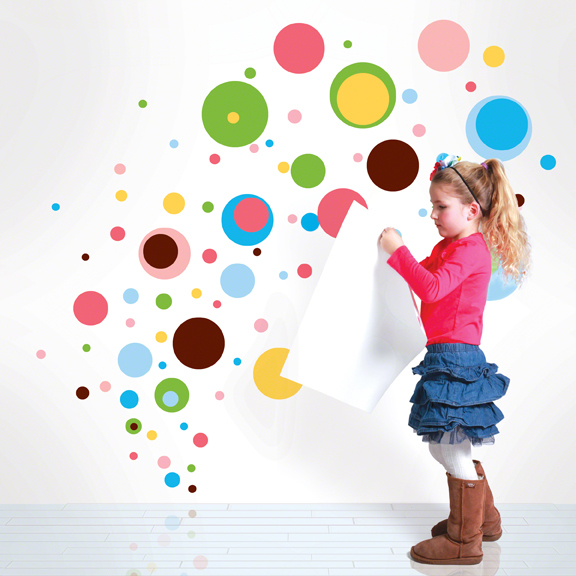 Add instant energy to your nursery, playroom, or classroom walls with a booming peel and stick city. 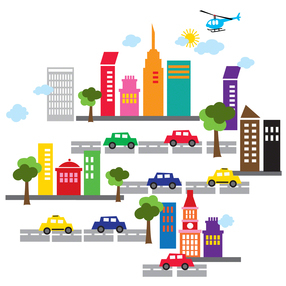 Inspire your child's imagination with colorful cars, buildings, streets, and outdoor elements for creating countless city scenes. Build one long block to span a large wall or keep this repositionable cityscape casually clustered. 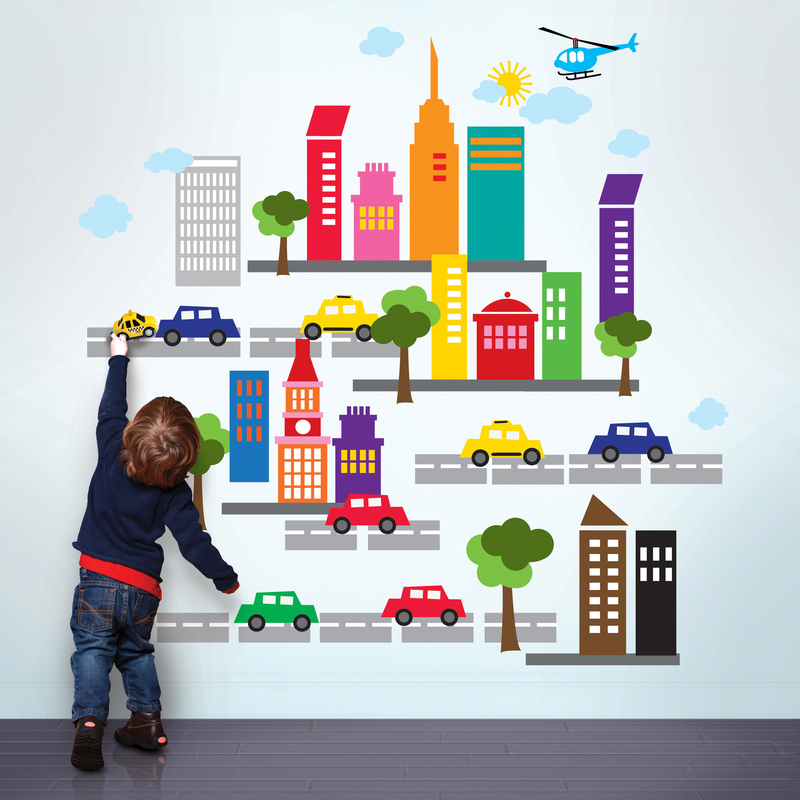 Remove and reuse these city wall stickers to design a totally new metropolis without damaging your walls. 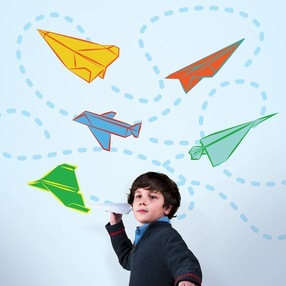 Decorate your room with colorful paper airplanes wall decals designed to encourage creativity and inspire joy. Create a fine formation without folding and let your imagination take flight – this re-positionable kit is full of high flying possibilities. Peel and stick these brilliant, gravity-free planes in bedrooms, classrooms and playrooms to add instant, commitment free decor. Remove and reuse each wall decal without damaging surfaces in any space.